Hey strangers! Valentine’s Day is right around the corner, so whether you’re a hater or lover of it, all of these goodies are perfect for the “holiday,” or any other day of the week! They’re all under $100, so get your shopping cart ready! 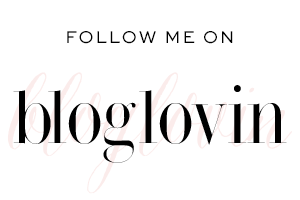 I know I’ve been out of the blogging game lately, and I apologize for that. We went straight from traveling over the holiday’s to traveling after the holiday’s. During our last trip we decided to rescue a puppy on the way home, and my life has forever changed since. I barely have time to shower let alone write a blog post, but I’m doing my best to get back in the swing of things! What better way than with my Wednesday Wish Lists! Like I said, everything on this wish list is under $100, and I am in love with them all. You don’t have to like Valentine’s Day to love these things. This peplum comes in several colors and is under $50! It is the perfect staple to be on the ruffle trend, and will be great in the spring and summer. I’m a wine lover so I swooned over this cute little “be wine” tank the moment I laid eyes on it, it’s perfect for a slumber party or Netflix and chill night. I think my favorite of all these are these pointy toe pumps. They look so luxe and expensive, and they even come in hot pink! We’ll be celebrating Valentine’s Day after the fact and at home with a nice bottle of wine and a movie. Thanks for hanging in there with me y’all. I wasn’t expecting to take so much time off, but I do have to say it’s been rather refreshing. I’ve missed blogging though, so I’m hoping this pup (her name is Luna) will do well with her training so I can get some of my life back! I’ll be sharing snaps of her on Instagram (and already have), so be sure to follow along there until I can get posts of her to put on the blog! Happy Wednesday, and happy to be back!